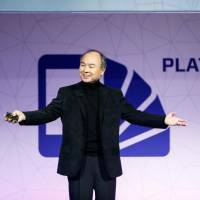 LONDON/DUBAI - SoftBank Group Corp. plans to invest as much as $25 billion in Saudi Arabia over the next three to four years as the Japanese company run by Masayoshi Son deepens investment ties with the kingdom, according to people familiar with the matter. SoftBank aims to deploy up to $15 billion in a new city called Neom that Crown Prince Mohammed bin Salman plans to build on the Red Sea coast, the people said, asking not to be identified because the information is private. The Japanese company’s Vision Fund also plans investments of as much as $10 billion in state-controlled Saudi Electricity Co. as part of efforts to diversify the utility into renewables and solar energy, the people said. SoftBank also will have some of its portfolio companies open offices in Neom, they said. The plans by SoftBank would bolster the crown prince as he cracks down on alleged corruption via a purge that has rattled investors. The infusion of cash also would aid the country as it seeks to diversify its economy away from oil. To put the magnitude of SoftBank’s plans into context, all foreign direct investment in Saudi Arabia totaled $7.45 billion last year, according to data from the Organization for Economic Cooperation and Development. A representative for SoftBank declined to comment. A Saudi Electricity spokesman said the company didn’t have an immediate comment. SoftBank’s American depositary receipts fell 0.8 percent to $41.55 at 1:56 p.m. in New York. Shares in Saudi Electricity fell 0.3 percent in Riyadh trading Wednesday, before Bloomberg News reported on SoftBank’s investment plans. The state utility has a market value of about $26.6 billion after a 6.1 percent increase in its share price this year. Son has been bolstering ties with Saudi Arabia since raising $45 billion from the country’s Public Investment Fund for a $100 billion fund this year. He was one of the main guests the wealth fund hosted at a conference in Riyadh in October that brought together titans of global finance seeking a piece of the action from the transformation of the economy. The Public Investment Fund didn’t immediately respond to a request for comment. SoftBank’s Vision Fund may buy a significant stake in Saudi Electricity, according to a memorandum of understanding with the Saudi fund unveiled last month. Son also has said he’s looking at making investments in Neom, without specifying the amount. Saudi Arabia has said the Neom project will be backed by more than $500 billion from the Saudi government, its sovereign wealth fund and local and international investors, according to a statement at last month’s business summit. The plan includes a bridge spanning the Red Sea, connecting the proposed city to Egypt and the rest of Africa. Some 10,000 square miles (25,900 square kilometers) have been allocated for the development of the urban area that will stretch into Jordan and Egypt. For SoftBank, the potential Saudi investments come as it expands from technology investments to asset management. The Tokyo-based company has used cash from its telecommunications operations to invest in everything from U.K. semiconductor-design company ARM Holdings Plc to chat service Slack Technologies Inc. and co-working giant WeWork Cos. Son now plans further acquisitions to potentially create a $300 billion asset management arm, Bloomberg News reported in September. 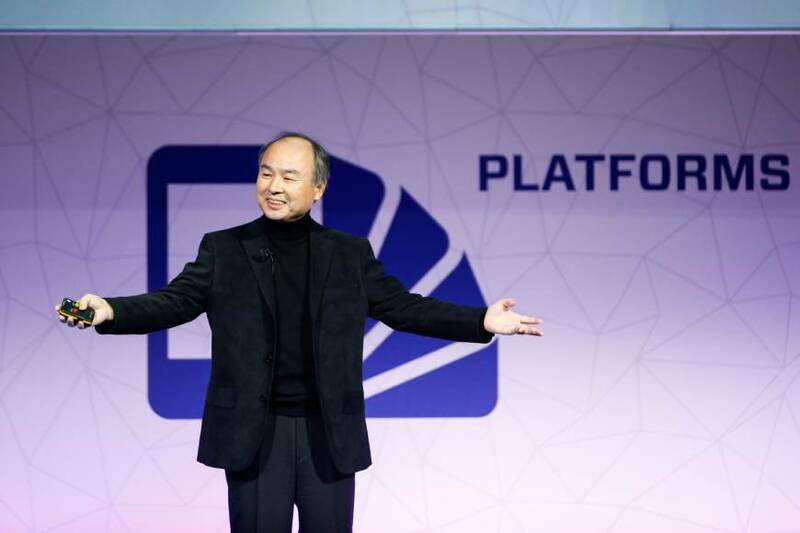 SoftBank’s plans to merge Sprint Corp. with T-Mobile US Inc. were terminated this month. Son said he ended the talks to combine the third — and fourth-largest wireless operators in the U.S. because he didn’t want to give up control of Sprint. A wireless telecommunications network will be critical to support investments that Son plans to make via the Vision Fund. SoftBank has one of the heaviest debt loads in Japan with ¥14.9 trillion in long-term debt.